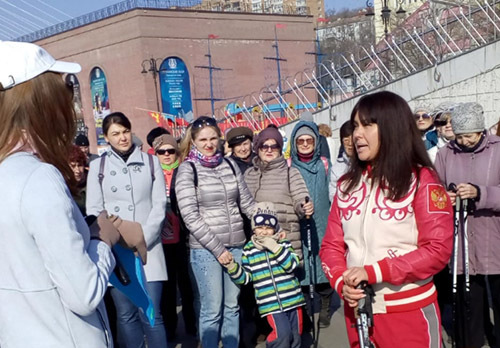 In the free port of Vladivostok, a company engaged in the production and promotion of film projects began its work. Investment investments amounted to 4.1 million rubles. This is reported by "Vesti: Primorye" referring to the Ministry of Regional Development. During the implementation of the project, a start-up set of equipment for the studio was acquired, a car was purchased to transport employees, an advertising campaign and information support for the project were organized. The film studio has already released two full-length documentary films for participation in film festivals. The film company wants to attract Russian and foreign creative teams and film crews to the Far East to work together to present a wide variety of film projects that promote the territory to a wide audience. 07.05.2018 In Primorye, the rental of the movie "Coach" continues successfully. 09.04.2018 In Vladivostok, the program of the TV festival "Man and the Sea - 2018" is being formed.